FIRE ALONG WITH THE EARTH COMPONENT, YOU ARE QUITE A FORCE OF NATURE. 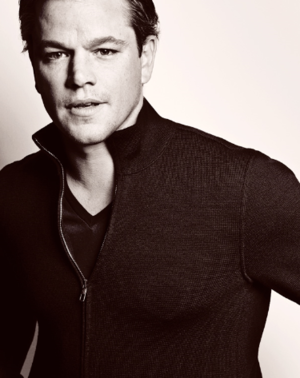 PASSIONATE AND HOT-HEADED WITH THE ABILITY TO PERSUADE PEOPLE TO DO ANYTHING YOU WANT. THESE TWO DOSHAS BRING STRENGTH AND A SMOOTH WAY OF HANDLING PEOPLE. Pitta-Kapha is your dosha type. What is a dosha? It's simply the Ayurvedic definition for your bio-individuality. In other words it's your body type, which includes your metabolic constitution, your personality, and your physical characteristics. So I'm A Pitta-Kapha. What Does This Mean? Pitta–Kapha types often have Pitta physical characteristics with Kapha mental attributes. This means that you have great physical stamina and health along with a high capacity for exercise and athletic pursuits. In addition, you probably have a good memory and a strong capability for learning new information. You tend towards balanced emotions and excellent physical health. The Kapha dosha lends stability while Pitta dosha gives adaptability. This is quite the dynamic combination! On the down side, you can be prone to respiratory infections, skin infections, and premature graying. 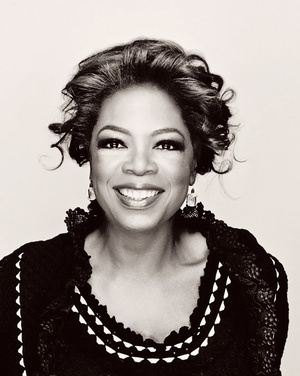 You can also be arrogant, overconfident, and a bit on the smug side. EMBODIED BY FIRE AND EARTH, YOU HAVE THE ABILITY TO MOVE MOUNTAINS, AND ARE PROUD OF YOUR ACCOMPLISHMENTS—MAYBE A LITTLE TOO PROUD. YOU CAN ALSO BE A BIT REMOVED FROM THE REALITY OF THOSE AROUND YOU. YOU CAN BE AGGRESSIVE AND EMOTIONAL WITH SHARP INTELLECTUAL POWERS SO IT’S WISE TO AVOID ANY KIND OF VERBAL ARGUMENT WITH YOU AS YOU HAVE THE ABILITY TO ARGUE YOUR POINT OF VIEW WITH CLARITY, SINGLE-MINDEDNESS AND PRECISION. The common water element between Pittas and Kaphas means that there is an excess of wateriness or oiliness. This shows up in excess watery tissues of the body (phlegm, mucus) and in a tendency to have oily skin and hair. Thus, Pitta–Kaphas do well by eating foods that are astringent and drying. Likewise, Kaphas tendency towards stability and sometimes, immobility means that you can get stuck in a rut. Doing something spontaneous will keep things interesting for you and help balance you out! Additionally, for balance you could benefit from active exercises such as yoga, walking, gymnastics, aerobics, bike riding and running during the early part of the day. Being a kapha-pitta type means that these two dosha’s are predominant in your constitution. It is usually best to manage a dual dosha according to the season. In general, as a pitta-kapha, follow a pitta-pacifying regimen during the late spring and summer seasons especially when the weather is hot. Follow a kapha-pacifying regimen during the cooler times of year like fall, winter and early spring and especially when the weather is cool and damp. Do not skip meals, do not fast and do not wait to eat until you are ravenously hungry. Although you can get so absorbed that you do not eat – this can increaseacidity and make you irritable. Start your day with cooked fruit, followed by some cereal. Eat a sustaining meal at lunch, and a lighter meal for dinner. For snacking, choose sweet juicy fruit--fully ripe mangoes, sweet pears and sweet juicy grapes are excellent Pitta-pacifying choices. Delaying meals can cause excess acidity, so eat on time every day. The Amalaki herb helps enhance digestion without aggravating Pitta dosha. It also helps balance stomach acid and studies show that it functions as an antioxidant and supports the liver in maintaining healthy cholesterol levels. To soothe sensitive skin, to balance the emotions and to nourish and tone muscles and nerves, indulge in an ayurvedic massage every morning before you bathe or shower. Use coconut oil for your massage because coconut cools the skin. If you like, you can add 3-4 drops of a pure essential oil such as lavender or sandalwood to 2 oz. of massage oil. Mix well before use. After your shower or bath, spray your skin with pure rose or sandalwood water to keep your skin feeling cool all day long. Protect yourself from the heat. Stay cool in warm weather by wearing loose cotton clothing. Cotton allows the skin to breathe and for Pittas – they need to wear natural fibers like silk, cotton, and linen. Synthetic material can heat the skin up too much. Wear a wide-brimmed hat and sunglasses to protect your eyes when you go out. Drink lots of room temperature water. Water-based activities are ideal exercise for Pitta-dominant people. Try swimming or aqua- aerobics to stay fit but cool. Strolling after sunset, especially along a waterfront, is also a soothing way to fit some leisurely activity into your day. Being next to water is soothing to Pittas who find the coolness of water calming for their intensity, however the Kapha in you will prefer a dryer environment especially when the humidity starts souring. A protein rich grain combined here with pungent spices will satisfy the hunger of a pitta that has the slower metabolism of a kapha. The coconut milk is cooling and the spices are great for stimulating the sluggishness you can sometimes feel. 1. Put the water and quinoa in a small saucepan and bring to a boil over high heat. Reduce the heat and simmer, stirring occasionally, until the quinoa is tender and the mixture thickens, about 20 minutes, adding more water if necessary. 2. When the quinoa is almost done, put the coconut milk, ginger, and cinnamon in another small saucepan. Warm the mixture over low heat. 3. Divide the quinoa among the 4 serving bowls. Pour the warm coconut milk over each serving and drizzle with maple syrup. Enjoy delicious, healthy meals that are specifically designed for the metabolism of a Pitta-Kapha with an Ayurveda Meal Plan from The Holistic Highway. 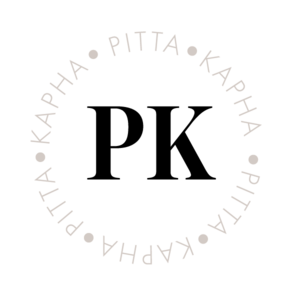 Try a PITTA-KAPHA meal plan for free with a 14 day trial. If for whatever reason you aren't satisfied with your plan, you can cancel at the click of a button, no questions asked, and never pay a dime. After that, it is just $6.99 a month. What have you got to lose? Sign up today!